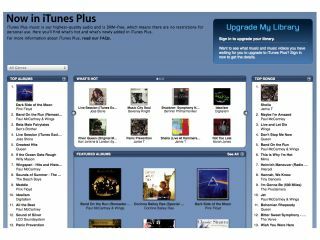 iTunes 8 may be great, but it isn't perfect. To help you get the most from it, here's our pick of the best software adds-on and accessories - from sound sweeteners to metadata manipulators. This nifty add-on lets you control iTunes from the Finder menu bar in Mac OS X 10.2 or later. Key features include a translucent pop-up screen showing the current playing track with album art, plus a list of recently played artist and track info in a drop-down menu. Last.fm analyses the music in your iTunes library and finds similar music from other artists that you might like and / or shares your musical tastes with other Last.fm members. Key features include the ability to create custom radio stations and playlists. Different versions of the app are available for iPhone and iPod Touch users too. Just like the new Genius feature in iTunes 8 and Last.fm, The Filter serves up music recommendations based on your musical tastes - but can also serve up TV programmes, movies and web video too. The Filter also has a social networking element - which is great if you're struggling to find fellow Azimuth (ask your granddad) enjoyers online. If you're forever reaching for the volume controls when playing music on your Mac, PC or iPod, then iVolume is for you. It analyses your music library and then adjusts relative sound levels for each track to give to a more uniform, and enjoyable, listening experience. If you're still fretting over the loss of Volume Logic for iTunes, this could be the next best thing. Like Volume Logic, iWow processes and enhances iTunes audio tracks in real time, giving you a wider stereo image, deeper bass and even 5.1-channel virtual surround sound. The best ever visualiser for iTunes is now included with iTunes 8, but if you don't like the changes Apple has made, we have good news - you can still download the original version from the Barbarian Group's website. Just scroll down the Software page to find some carefully buried links hidden in replies to customer questions [via Gizmodo]. If your iTunes library is stuffed with music videos, TV shows and movies, you'll be familiar with one of the most frustrating aspects of iTunes - its wilful tendency to classify everything as a 'movie', while also leaving out most of the metadata (artist, album, etc). MetaX solves all these problems and more. This plug-in automates the tedious task of rating iTunes tracks. Getting the most from Smart Playlists in iTunes depends to a certain extent on the star ratings you give to your content. AutoRate analyses your entire library and then rates your songs according to how often you've played or skipped them. Although you can create multiple libraries in iTunes, Apple's solution doesn't work particularly well. This app enables you to create separate libraries with accompanying Preferences files for each. The free version enables you to create two different libraries, stumping up the $10 shareware fee enables you to create many more. If you're lucky enough to own an iPhone or iPod Touch, this little app gives you playback control over your entire iTunes library using both devices' built-in Wi-Fi connection. Artist, album and track info is displayed right on your iPhone or iPod Touch, along with cover art.